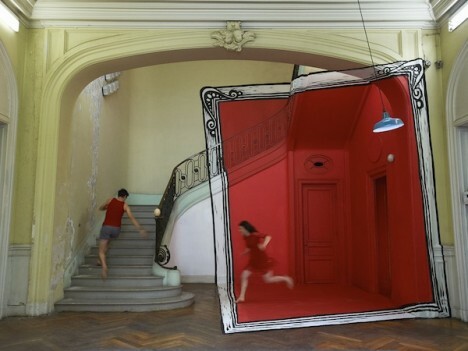 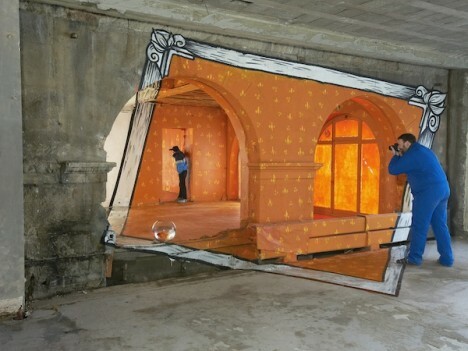 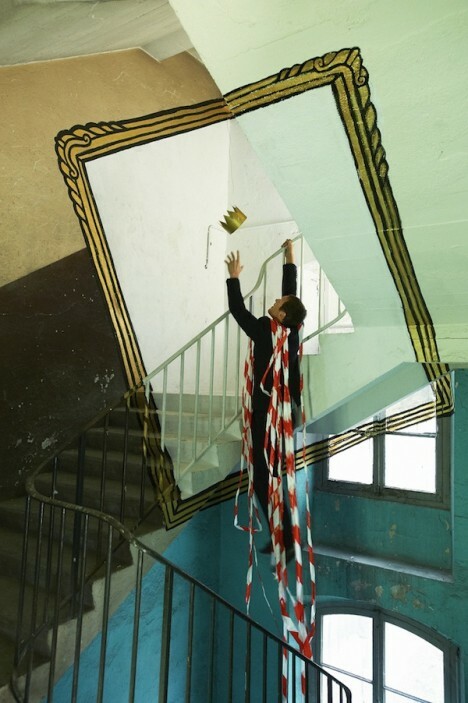 French street artists Ella and Pitr team up to create light-hearted and fun installations in derelict buildings throughout Saint-Étienne, with colorful oversized picture frames seeming to offer a portal into a different place altogether. 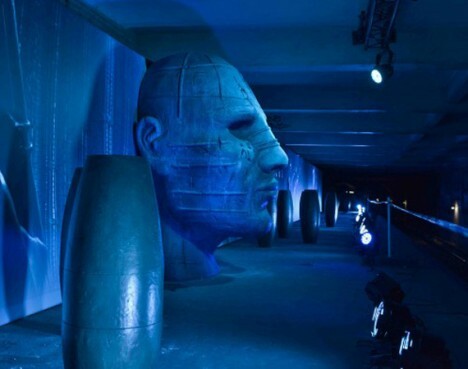 It may have been created as part of an advertising campaign for the Ridley Scott film Prometheus, but this installation in the abandoned Saint-Martin metro station in Paris is undeniably eerie. 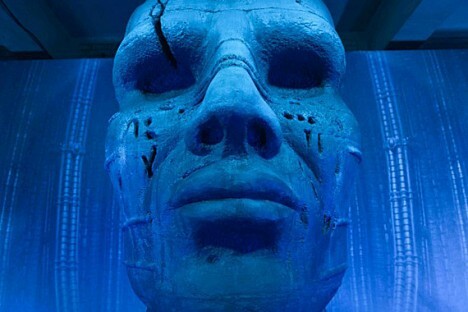 The station was altered to resemble the extraterrestrial cave explored by the crew in the movie. 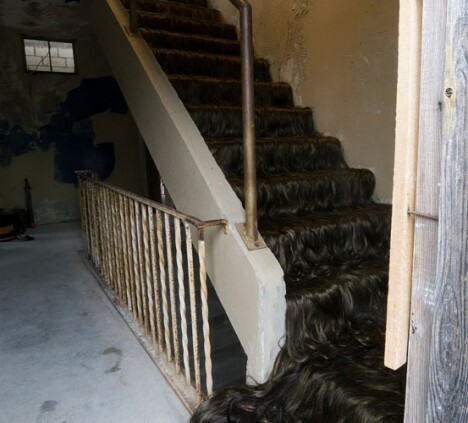 Though commuters couldn’t disembark at the disused station, they caught glimpses of it throughout he windows as the train passed through the station. 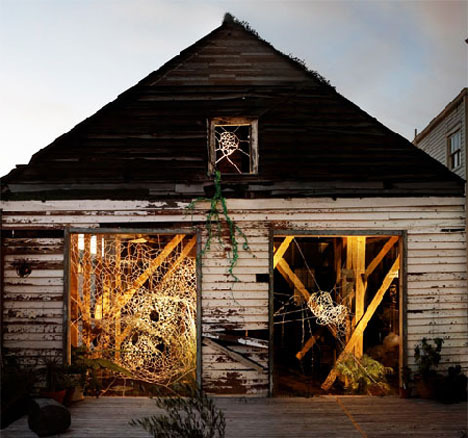 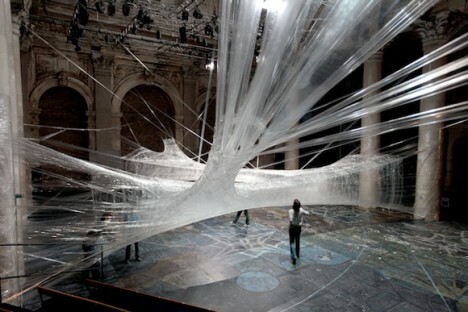 Design firm Numen/For Use is best known for its bizarre tunnels made of packing tape, resembling the webs of a nightmarishly oversized spider. 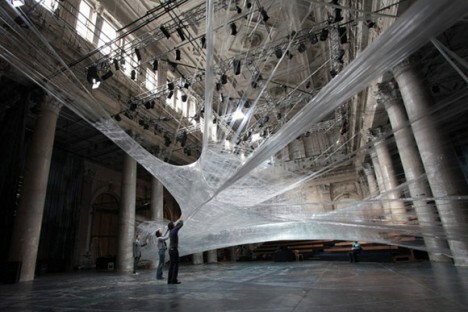 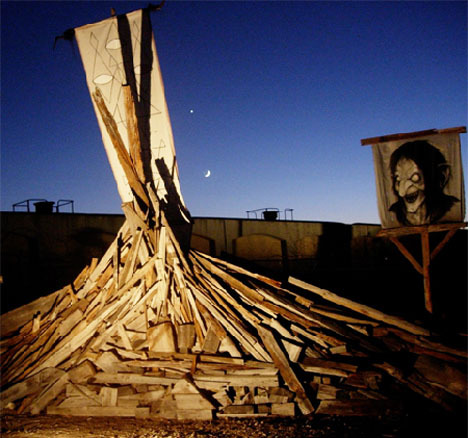 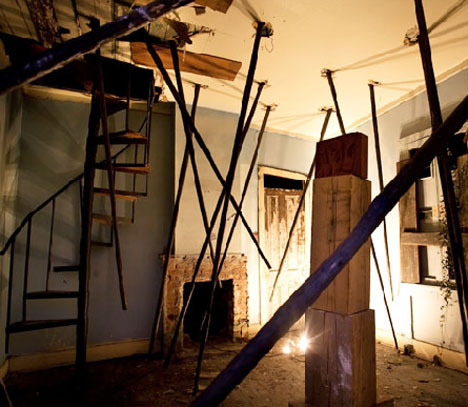 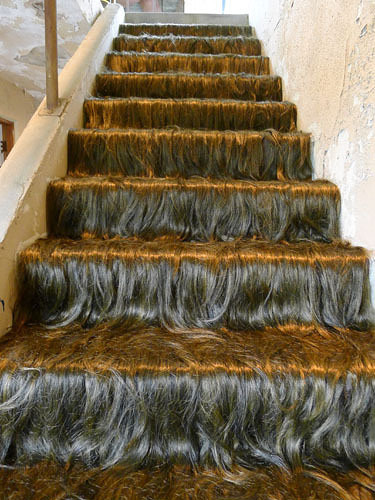 While these installations are often set inside galleries, the Viennese/Croatian collective also stretched 117,000 feet of it inside the basement of an abandoned factory for the 2010 Vienna Design Week.